It is cookie swap time again! This is the third year I have participated in the Food Blogger Cookie Swap to raise funds for Cookies for Kids’ Cancers, a national non-profit that is helping fund new therapies used in fighting pediatric cancers. Pretty sweet, huh? 476 food bloggers across six different countries are participating this year. Bloggers’ donations coupled with brand partners’ matching contributions have raised over $7,000 this year. Woohoo! A BIG thanks to Dixie Crystals, Land O’Lakes, and OXO who sent bloggers coupons and little gifts AND matched funds to make this year a success. Remember these brands when you are out shopping and support them. They are doing great things to help fight pediatric cancers. After doing this swap a few times I have learned that shipping (and receiving) cookies across the country can be a tricky thing. This year one of my recipients was in Hawaii  and I wanted to make sure she did not receive crumbled cookies. I wanted to send cookies that would hold up well and get better each day they were in mail. That’s when I thought of Pebber Nodder. 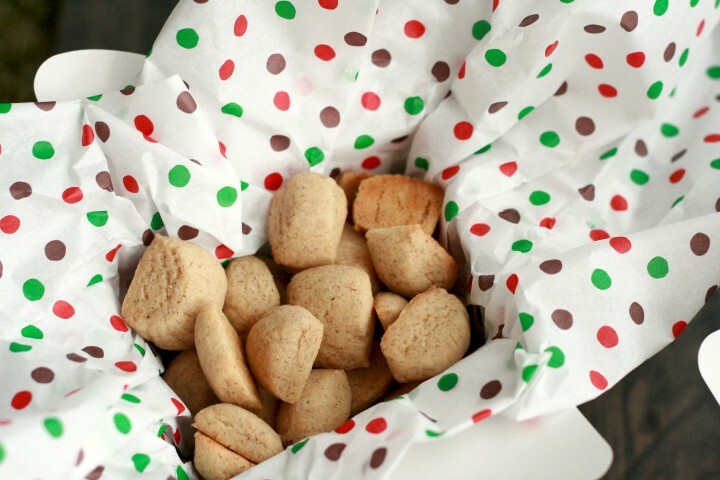 Pebber Nodder is a small crispy and slightly spiced Danish Christmas cookie. I think they taste better on day three than fresh out of the oven which makes them ideal to ship across the country. These cookies make me think of my grandparents since they make them every year. In August my Grandpa Tom passed away from what turned out to be leukemia and I thought baking these in his honor is a great way to share his memory with others. i miss you so much! 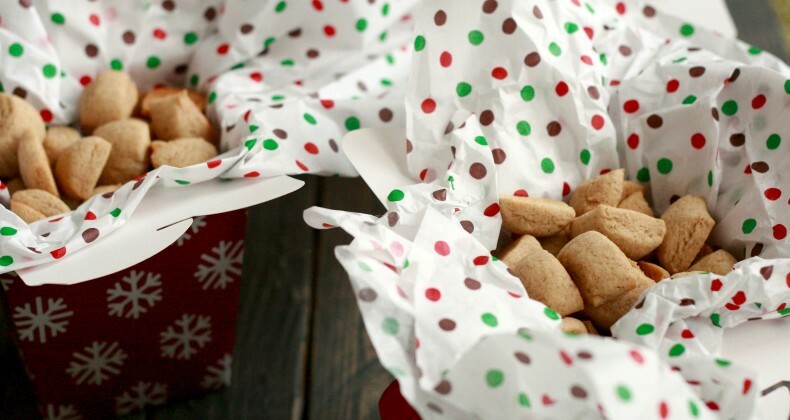 These cookies are filled with wonderful warm winter spices. I love spiced cookies and these do not disappoint. Cardamom, cinnamon, cloves, nutmeg, and white pepper combine to make a cookie that pairs well with a large cup of coffee or tea. When making the cookies I roll the dough into a long rope about a finger’s width. Then I cut the cookies into about 1/2 inch long pieces. The smaller the cookie the crisper they are. 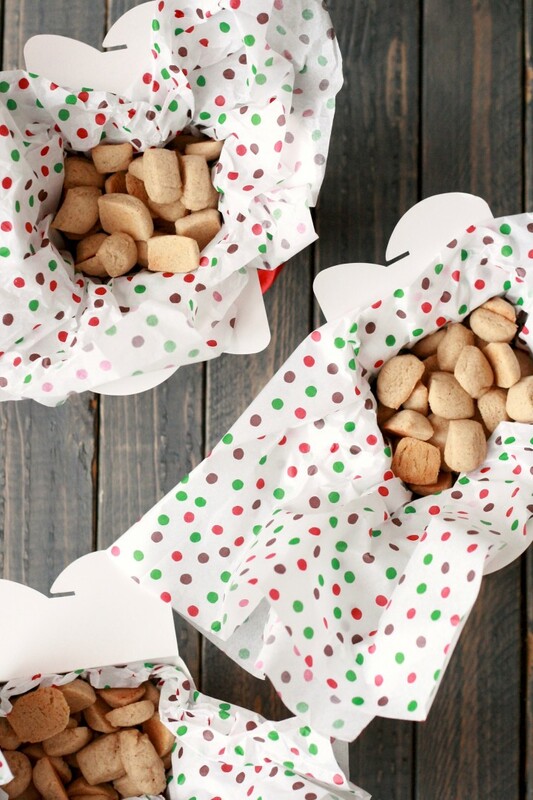 Get your kiddos in the kitchen they will love rolling the “cookie ropes”. 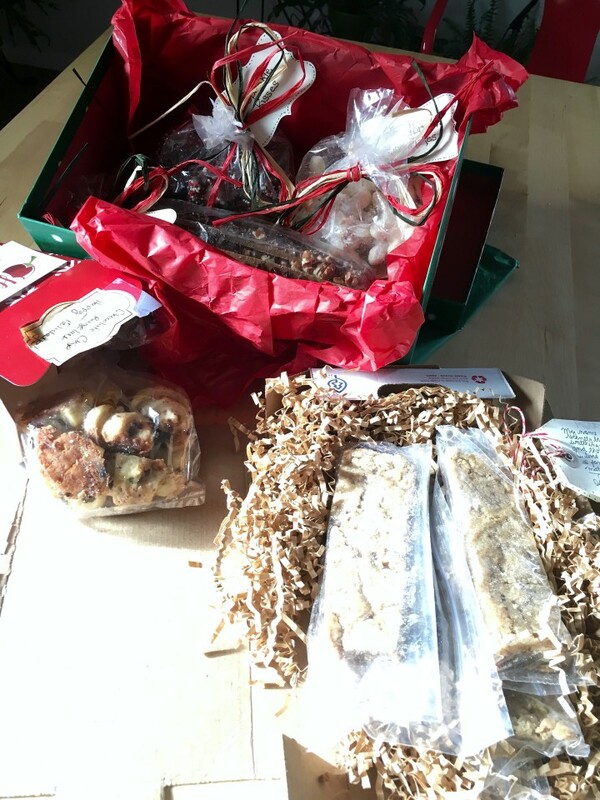 I sent cookies out to Catherine from The Cat Dish, Loy from Grandma Loy’s Kitchen, and Michelle from Bacon Fatte. Head over to their sites to see more about the cookies they baked. I received all my swap cookies on the SAME day! My kiddos were thrilled we received so many cookies in the mail. I love getting to try so many new to me cookies. My cookies were from Prudy from Butter Basil and Breadcrumbs, Courtney from Little Red Hen, and Samantha from Haute Pepper Bites. Please go check out their sites and get the recipes for their cookies. They were spectacular! Each batch of Pebber Nodder makes about 100 tiny cookies which makes them PERFECT for gifting. Your neighbors, boss, mail carrier, dog walker, bus driver, etc. will love them. Hundreds of bloggers are posting their recipes today so follow along on social media with the hashtag #fbcookieswap Get inspired to make some new Christmas cookies this year. Do you want to participate next year? Find out more here. Mix in the flour, one cup at a time, until the dough gathers together. Are u making us some? Grma is eating all of hers that she made! These sound really yummy and I will be adding them to my cookie list! Your cookies look so good. Mine didn’t turn out so pretty. Only made 1/2 batch of recipe-doesn’t work as well. Also missed my helper. Grandpa and I always sat at the table and rolled and cut them together. Always lots of kidding around as we did so. Just not the same without him. And yes, I have been eating the white ones-always my favorites. So glad you are carrying on the Danish tradition. Love you lots. I’m missing your helper too. <3 I love our family traditions! Your cookies look super yummy! I love the concept of a cookie swap that benefits a charity. And those cookies look scrumptious! I’ll make a special point of purchasing Land O’Lakes butter and OXO products this season and into the New Year as I enjoy supporting companies that give back to the community and charitable projects. And thanks for sharing your recipe. Happy holidays! I try to buy OXO whenever I have the option. I believe they had a child in their family with pediatric cancer and so they give very generously ($100k) for research each year. What a great idea and the cookies looks yummy! I can’t wait to bake for the christmas days! Hi Just wondering if you ended up making these Gluten free and what you did and how they turned out? I just tried it with a slightly different recipe that had worked well for me last year with gluten flour. They turned out ok, a bit grainy and slightly more crumbly. But I think that might be unavoidable with gluten free flour. I just swapped for gluten free flour and added some xanthan gum. Hope yours turn out well too. Do let me know if you avoid the grainy texture. Hi! What’s the shelf life on these yummy treats? In an airtight container, they are good for a week or a little more. Many times I just store them in Tupperware in the freezer -that way they last for months.